I am reluctant to tell you about this one…but I must. 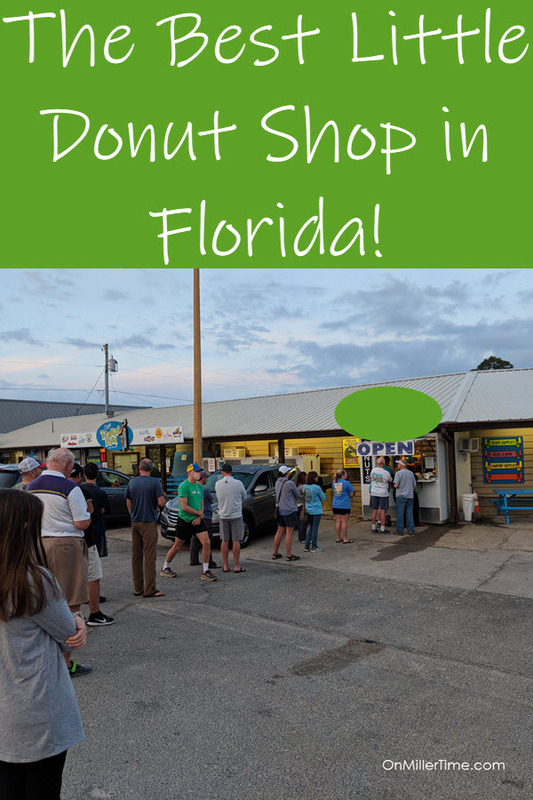 It is quite simply the single best donut shop in Florida…actually make that the World! Have I eaten at every donut shop? No…but I bet they are the best! I actually don’t like donuts – won’t go to Dunkin, or Krispy or any of the other deep fried places but I ended up here and now I am in love. Now we debate about making a two hour drive on the weekends just to get donuts. Yes, they are that good! It all started when we were camping at St Joe State Park. Tent camping so I wasn’t really up for cooking at the moment – this was right after we sold our last camper. The boy and I got up early and went to run to the store to get some breakfast. 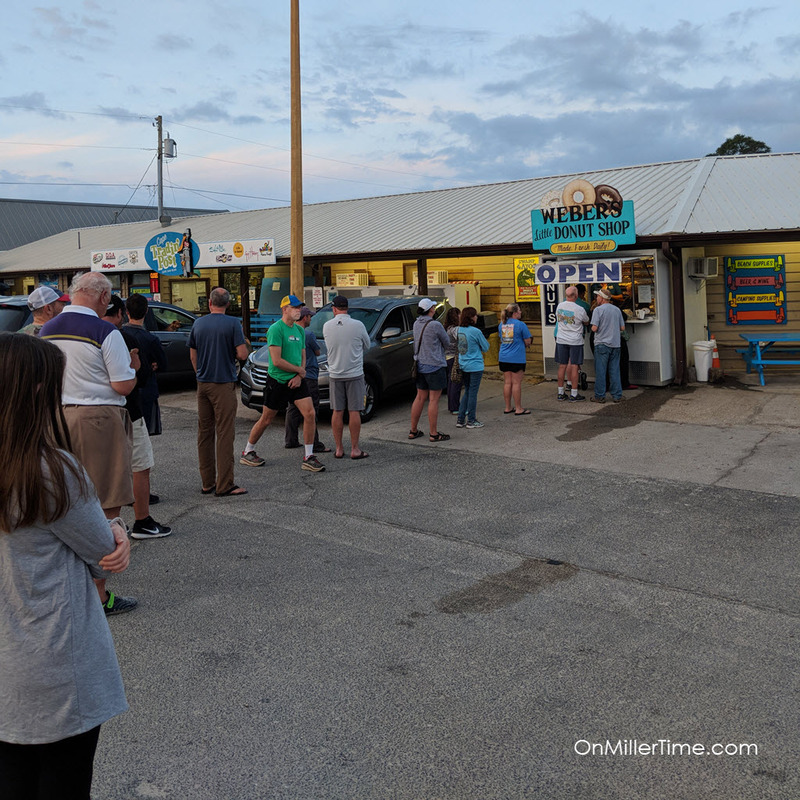 We got to the store and we noticed a very long line of people in front of the shop next to it. We were intrigued. The boy saw it was Donuts and it was game over. I went inside to order breakfast sandwiches because I don’t like donuts, he got inline. I got our sandwiches and coffee and the boy was still in line! I joined him in line and 10 minutes later we got to the counter. Luckily people in line had told us they only accept cash so we scrounged what we had (I NEVER carry cash). We had $4 in cash and coins. We chose 4 donuts because they are $1 each. I ended up getting one because I had to try these after all the hype. We got the donuts and headed to the truck. The boy tried the donut and his face lit up. I tried mine and I was dumbfounded how good they were. Our donuts didn’t make even it back to the park entrance. By far the best donuts I have ever tried! I HIGHLY suggest the glazed cake ones – they are a staple there. Don’t believe me? Check out the reviews on TripAdvisor! The only accept cash and they are only open until they sell out…which is usually quick! Get there early because the lines start forming about 6:30am!